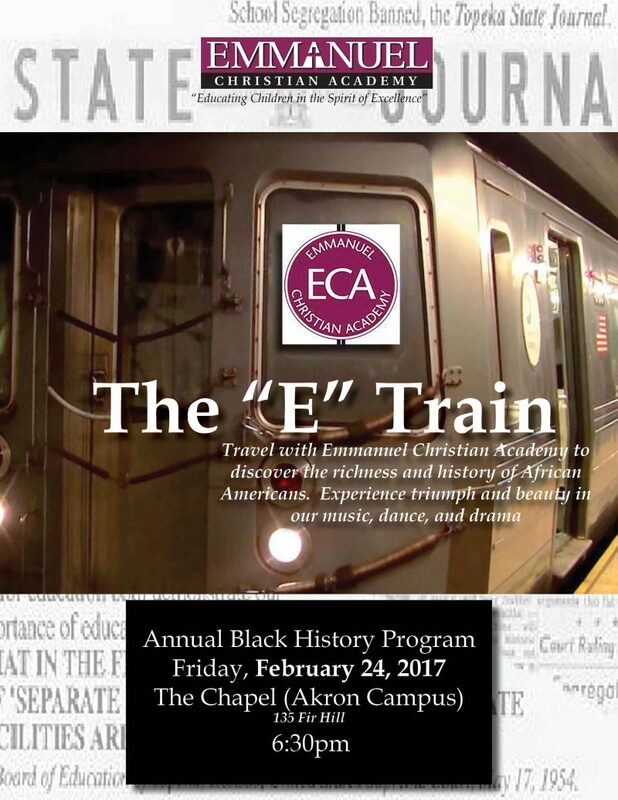 Emmanuel's Annual Black History Program will be Friday, February 24th at 6:30pm. All grades included in the performances. Our story begins in Africa….but there is no end, we continue to make history. A night for the whole family, at The Chapel on 135 Fir Hill, The University of Akron campus. ALL ABOARD!